Choose a credit card with a low rate and with features that matches your lifestyle. Reward credit cards can help you go on vacations, get discounted rates on services or even get cash back! Read and understand the fine print before submitting your application. Make sure that your payments are reported to the three major credit bureaus. Pay all your bills on time. Whether it’s your credit card, car loan, mortgage, electricity, cable, or internet bill, you should strive to submit your payment on or before the due date. Why is this important? 35% of your FICO score is based on payment history so each time you are late, your credit score will get lower. Of course, prompt payment will improve your credit rating. Do not max out your credit limit. 30% of your FICO score is based on credit utilization so how you manage your credit line can significantly affect your credit score. 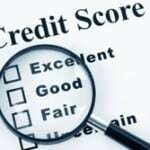 Experts recommend not using more than 30% of your available credit to maintain a high score. If you own a credit card or credit cards, check your balance first and plan your spending ahead to avoid maxing out your limit. Manage different types of accounts. It’s not enough to have a credit card or multiple credit cards in your name. You can further improve your credit rating by acquiring different types of debt such as a personal loan, a student loan, a car loan, or if you possible, a mortgage loan. 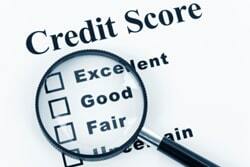 Lenders who check credit history are interested in how capable you are of managing your debt. If you have a credit card, and at least two different loans in your name, this will surely strengthen your credit standing. Of course, it’s important for you to submit your monthly loan payments on time to protect your personal credit. Check your credit report regularly. Consumers are entitled to one free report from each bureau every 12 months or annually. You can visit www.annualcreditreport.com to order your free report for this year. You may choose to request all your three reports from the three bureaus at once or you can order one report from one bureau throughout the year. If you want to directly order from a credit bureau, there is a fee of $9 to $12 per report. Checking your credit report will give you the chance to examine it for possible errors. In case you find an incorrect detail, you can send a dispute letter to the bureau that issued your report. You must also ensure that all your account activities are accurately recorded.